lol with the leightons: I Love...Lenny and Eva Bracelets! I know ELC and I have mentioned in previous posts the cute store in Granbury called Spell Bound. It is a gem! They carry the most fun trinkets and treasures. 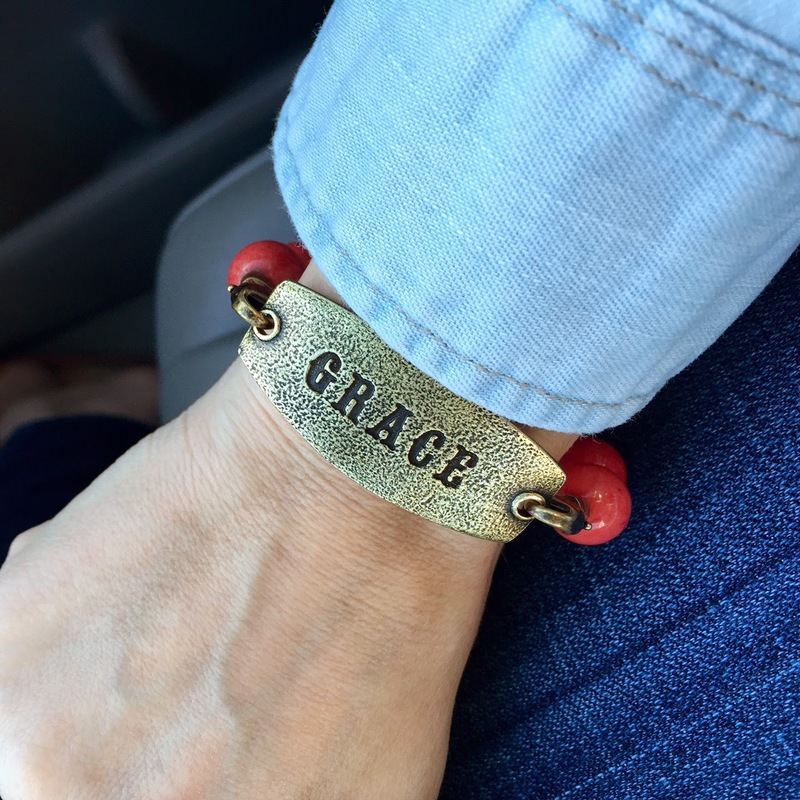 About a year ago, ELC, Little Leighton and I were browsing the shop when we came across a jewelry line they were selling called "Lenny and Eva." It was precious and very reasonably priced. It's somewhat "design your own." A few weeks ago, ELC was back in Granbury, lunching and shopping with a dear friend. They popped into Spell Bound, and ELC treated me again to two new "plaques" as an early birthday present! ("Plaque" is probably not the best word to use to describe them--maybe I'll switch to "charm"--but I just finished the last episode of Parenthood and my brain is complete mush. Frankly, I'm an emotional wreck, and it will be a miracle if this post is remotely coherent at all.) 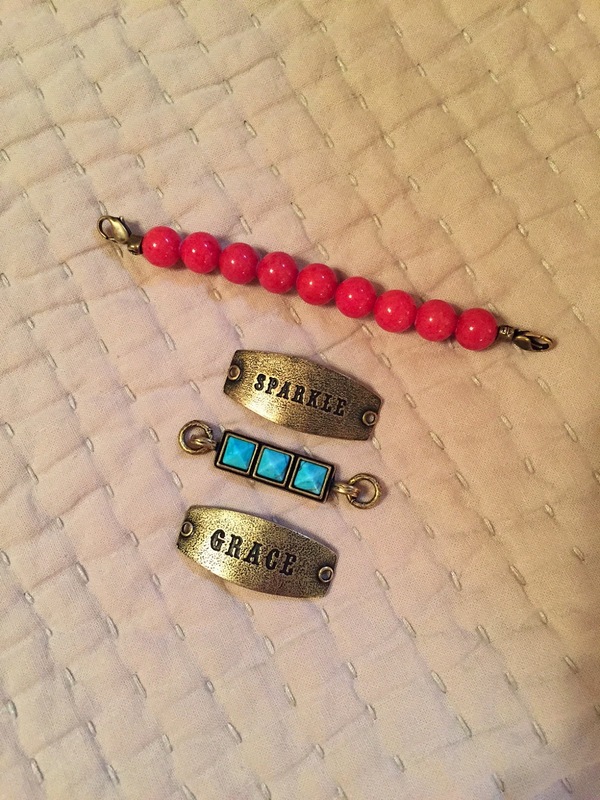 She found the prettiest turquoise "charm" and one that says, "Grace." I couldn't love them more! I was so surprised. The only thing I will mention is this particular bracelet seems to run a bit small. My wrists are fairly tiny (I can think of 5 other body parts I would much prefer were "tiny"), and the coral beads are pretty snug. I have a little trouble getting it on and off myself. However, I adore these so much and I don't mind working a smidge harder at it! Love my "Lenny and Eva!" It's a little bit funky. A little bit rustic. And a whole lot of pretty!